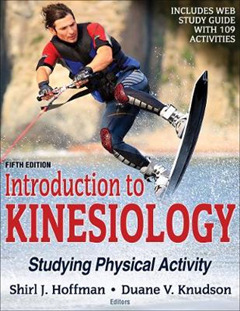 Introduction to Kinesiology: Studying Physical Activity, Fifth Edition With Web Study Guide, gives students a complete overview of the field of kinesiology and explores the common career paths, questions, and ideas that are part of this dynamic and expanding discipline. 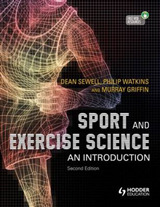 This engaging, four-color introductory text stimulates curiosity about the vast field of kinesiology, provides a foundation for students to build on through further study, and generates awareness of the long-standing and current issues that kinesiology professionals seek to understand and solve. 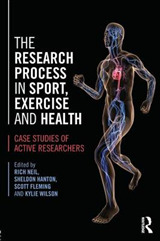 Editors Shirl J. Hoffman and Duane V. Knudson have retained the book''s strong framework and have used feedback from instructors to streamline and condense the text while adding new and updated content. The fifth edition features a completely revitalized web study guide that encourages students to apply classroom content to real-world activities and better prepare for exams. The web study guide integrates reading assignments with gradable activities so that instructors can better monitor student progress, test understanding of key concepts, and adjust classroom discussions and pace. 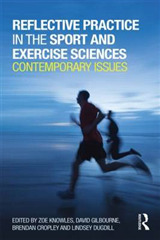 Additional updates to this new fifth edition include the following: - Updates to data, research, and graphics to incorporate the most recent discoveries - An increased focus on public health, allied health, and nutrition and wellness to reflect changes in this dynamic and growing field - New Professional Issues in Kinesiology sidebars that look at the issues of equality, evidence-based practice, expertise, and overload as they relate to the field of kinesiology - New Kinesiology Colleagues sidebars that introduce role models who demonstrate professional life in kinesiology and its related fields The text features the three-section structure that has always been a strength of this leading introductory textbook. 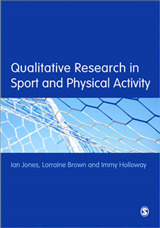 Part I examines the diversity of physical activity and kinesiology and summarizes the importance of knowledge gained through physical activity experiences. 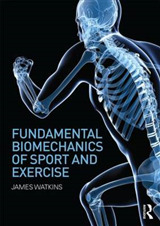 Part II delves into the seven major subdisciplines of kinesiology, with an overview of major historical events, research methods, professional work and application, and ideas for career advancement in each. Part III elaborates on professionalism and then examines five main areas for career opportunities. The extensive and revitalized instructor ancillaries include an instructor guide, a test package, chapter quizzes, a presentation package, and an image bank that includes most art and tables from the text. Introduction to Kinesiology provides basic and essential information for students embarking on their study of kinesiology, and this updated fifth edition prepares them for future courses and further study.